Sunland Water Gardens is a company devoted to the beauty of nature and the conservation of it. 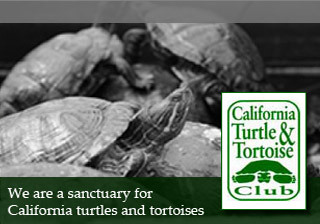 That’s why we have teamed up with the California Turtle and Tortoise Club to help do our part in protecting one of our most beloved and threatened species. Our facilities also serve as a verified turtle sanctuary, where we can assist in finding new homes for found, lost, and displaced turtles of all sizes. 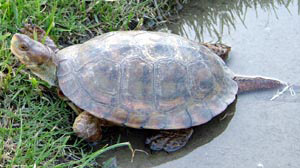 Two hundred and ninety different species of turtle and tortoise exist the world over but they are in sharp decline, mostly due to habitat erosion or destruction, man-made or otherwise. Sunland Water Gardens are passionately active with the CTTC in special events and activities such as tortoise recovery, participating in street teams, and creating awareness of the uphill battle that turtles have to continue to thrive in our ever-changing world. 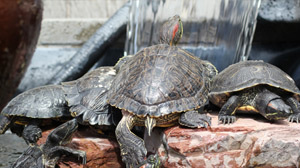 If you would like more information, or to help in efforts to improve the life of turtles and tortoises, stop by Sunland Water Gardens to get involved, or head on over to the CTTC for more information!